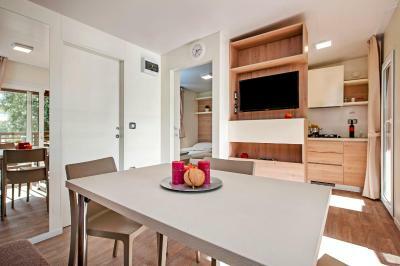 Lock in a great price for Campsite Porton Biondi Mobile Homes Mediteran – rated 8.6 by recent guests! The house itself was well-equipped and convenient for six. Nice surrounding, close to the seaside.Only half-an-hour walk on nice route from the town centre.Helpful stuff. Great staff! 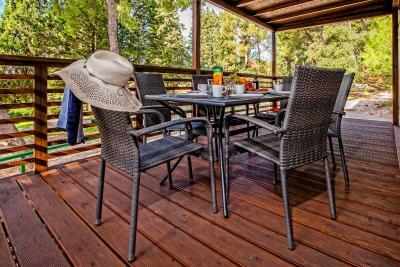 Great location in forest not far from beach and Rovini! Really clean and comfortable bungalow with amenities! Nice bakerie on site. Great stay and very good value! Super mobile home. Danilo was very friendly and efficient and speaks excellent English. Absolutely everything was great! 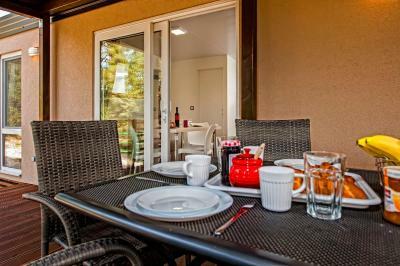 Nice location, clean houses with 2 bathrooms, sea view, very friedly receptionists, good food in restaurant. 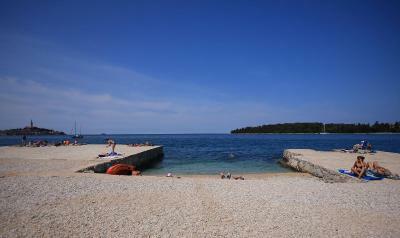 beach just few meters and Rovinj just 20 mins.walk. the camp is near the city and almost every thing is nerebye. I and my husband had a plesent stay even that the weather was not so good. We decided to come again and checkout what we missed this time. Looking foward to our next visit. Mobil houses are very new and clean, very comfortable. Well equiped, great terasse beach is easy to walk to. Great for everybody!!!! I loved that the beach was literaly 2mins down the hill. Fantastic location and view of Rovinj. 20 min walk to the city of Rovinj. Everything was fine but the bed was not comfortable. Very nice and comfortable houses. They have beautifull terrace on which you can enjoy nice weather. 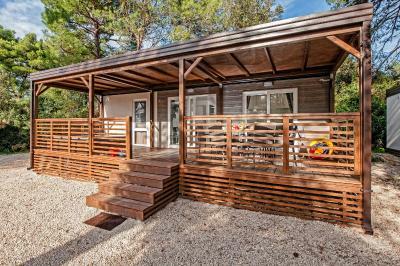 One of our top picks in Rovinj.Campground Porton Biondi Mobile Homes Mediteran offers accommodations 0.6 mi from the center of Rovinj. 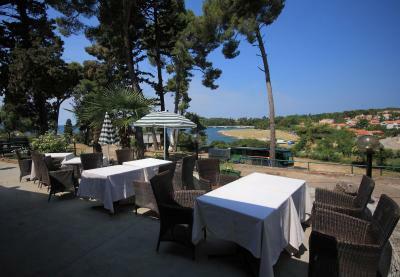 The nearest beach is a short walk from the mobile homes, while Rovinj Aquarium is 0.7 mi from the property. 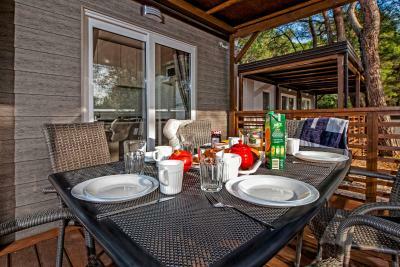 The accommodations has a dining area and seating area with a flat-screen TV. A microwave and fridge are also featured, as well as a coffee machine. 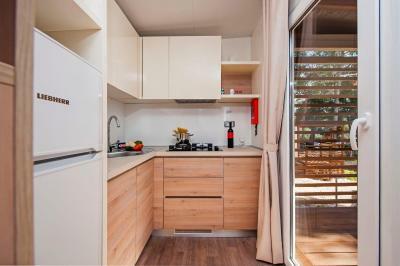 There is also a kitchenette equipped with a stovetop. Towels and bed linen are provided. 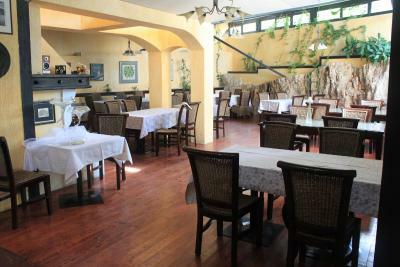 Guests can enjoy the on-site restaurant and beach bar. 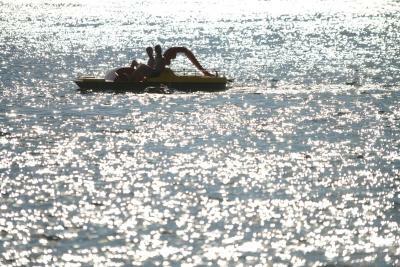 An array of activities are offered in the area, such as horse riding, snorkeling and diving. 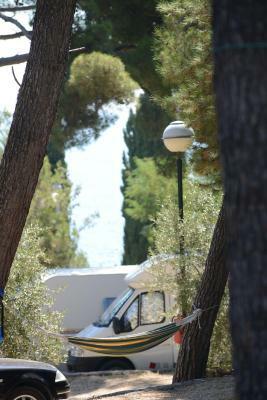 Rovinj Heritage Museum is 0.9 mi from Campground Porton Biondi Mobile Homes Mediteran. 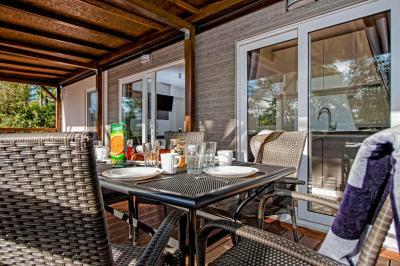 The nearest airport is Pula Airport, 19 mi from the property. 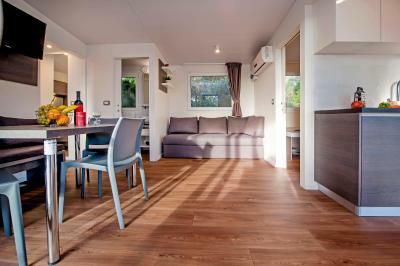 When would you like to stay at Campsite Porton Biondi Mobile Homes Mediteran? This mobile home has air conditioning, stovetop and microwave. This mobile home features a private entrance, sofa and seating area. This mobile home has a sofa, stovetop and seating area. 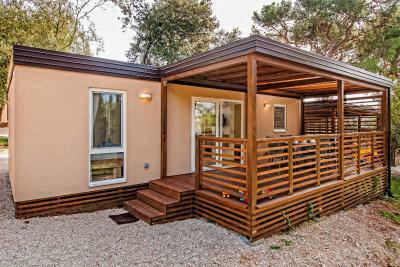 This mobile home features a private entrance and air conditioning. 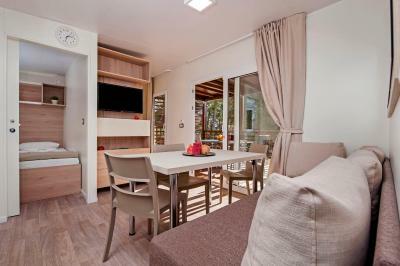 This mobile home has a dining area, sofa and kitchenware. WiFi is available in public areas and costs EUR 7 per 24 hours. 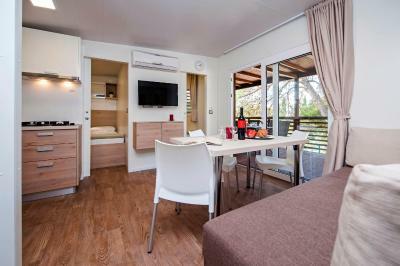 House Rules Campsite Porton Biondi Mobile Homes Mediteran takes special requests – add in the next step! 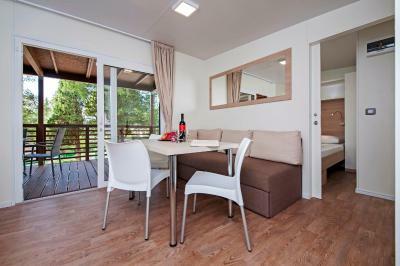 Campsite Porton Biondi Mobile Homes Mediteran accepts these cards and reserves the right to temporarily hold an amount prior to arrival. Please inform Campsite Porton Biondi Mobile Homes Mediteran of your expected arrival time in advance. You can use the Special Requests box when booking, or contact the property directly using the contact details in your confirmation. Parking was not next to the unit and available spaces not easy to negotiate. Cabins very close together. No garden view only rocks. 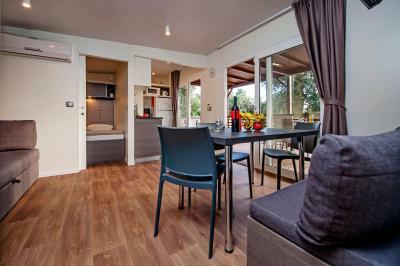 Minimalist tasteful furnishings and decoration, well equipped and spotless towels and bed linen. The bakery on site was excellent as was the restaurant Pirtin Biondi. 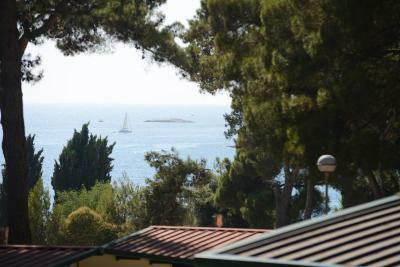 The location of the camp is great., close to the beach and close to Rovinj. The mobile home is very comfortable. Mobile homes situated very very close to each other. 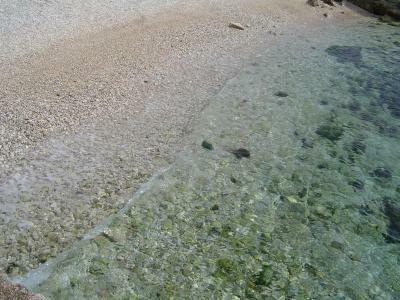 The nearby beach (1 minute walking) is only medium quality, not suitable for small children, but good enough for a swimming and water sports. There was dust on some shelf and few hairs on floor, not that bad, but it was not a crystal clear. quiet, far from a noise street, lovely pine trees, walking distance to Rovinj, a beach Borik (3 min by car or 20 min walking) is pretty good, nice, equipped, with all the beach stuff you need, restaurants, toilets, tree shade, etc ... also beach Vestar was very nice, romantic, camp good equipped,.. end of august - sea water super warm :-). The reception guy was helpful to support our request. 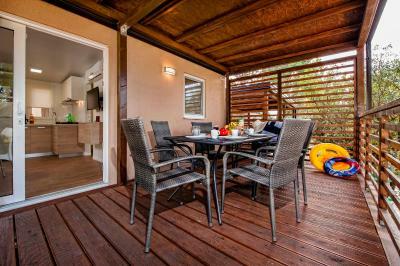 Each mobile home premium is equipped by a spacious covered terrace. The city beach is not very nice but if you are traveling with the car you can visit Cisterna Beach. The mobilhome was very nice and clean. Personal on the reception was awesome. It was very close to the city beach. Well equipped kitchen. The location although near the beach it was still 10-15 min walk from the apartment with small kids. The size/layout of the mobi home was very good. Having two bedrooms and a seperate kitchen really helps. There was no jakuzzi, though we booked one with it. We got a good compensation however, which was OK. The double bed room was too small to put a baby bed into it, so it caused some inconvenience. There were ants in the room. They caused no problems and it is understandably since the camp is in the woods, but not everybody is so tolerant. Excellent beds, quiet and cozy place. Excellent in-camp restaurant. Very large patio. Amazing location! Great location, only 15 minutes around beach to the center. The house is really beautiful and modern. Communication was excellent! Tx!